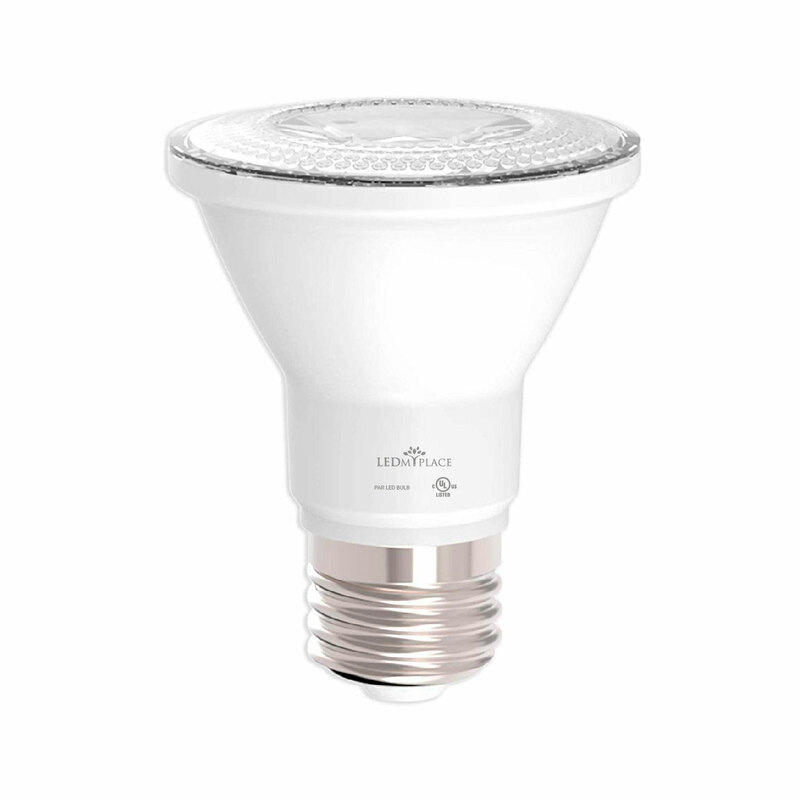 The PAR20 LED Bulb of 8W coming with an E26 base can be used for general area lighting as it comes with a wide beam angle -- 40 degree. Being an energy-efficient alternative to the conventional halogen or incandescent light bulbs, it brings you 90% savings in energy-costs. Along with an even and optimized light output, it provides for an excellent color rendering ability. 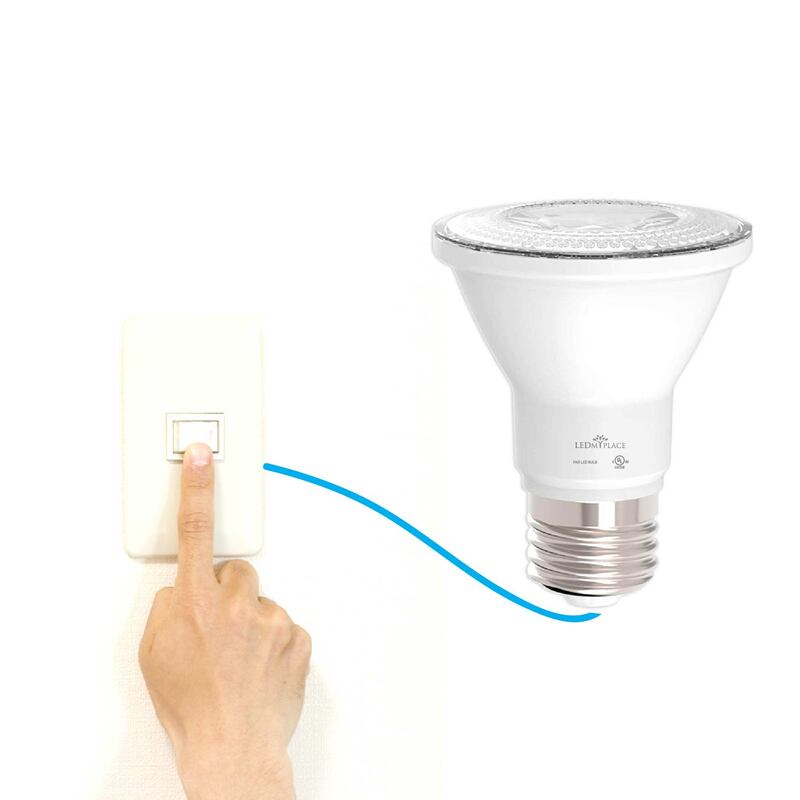 Having a dimmable feature, it can be dimmed down to 0%. 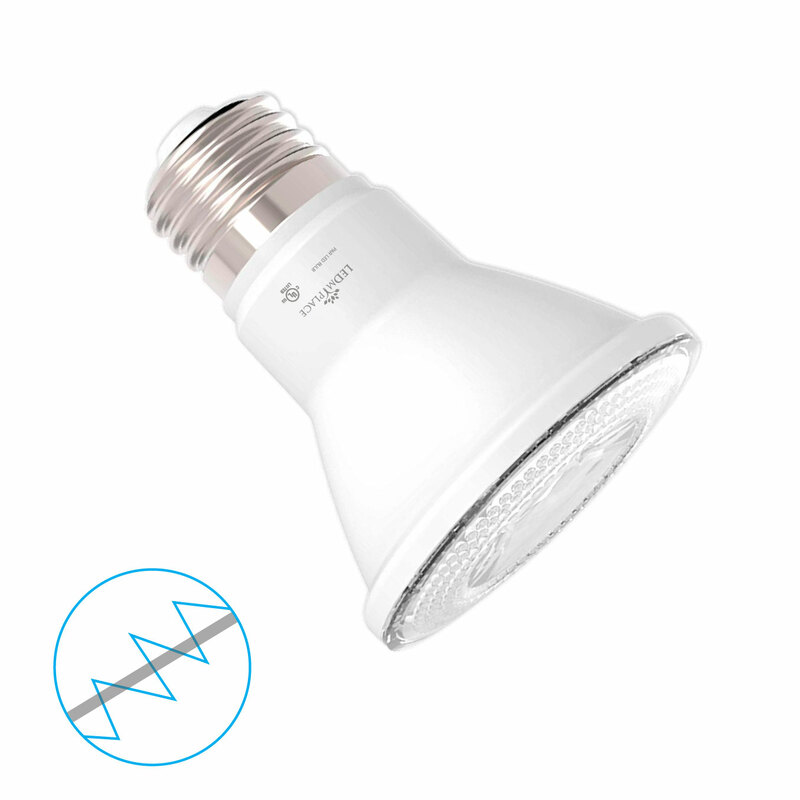 With less warm up time needed, this PAR20 bulb has low maintenance and operation costs, while lasting 15 times longer than any halogen light bulb. A 5 years of warranty is available to you from the manufacturer’s end. 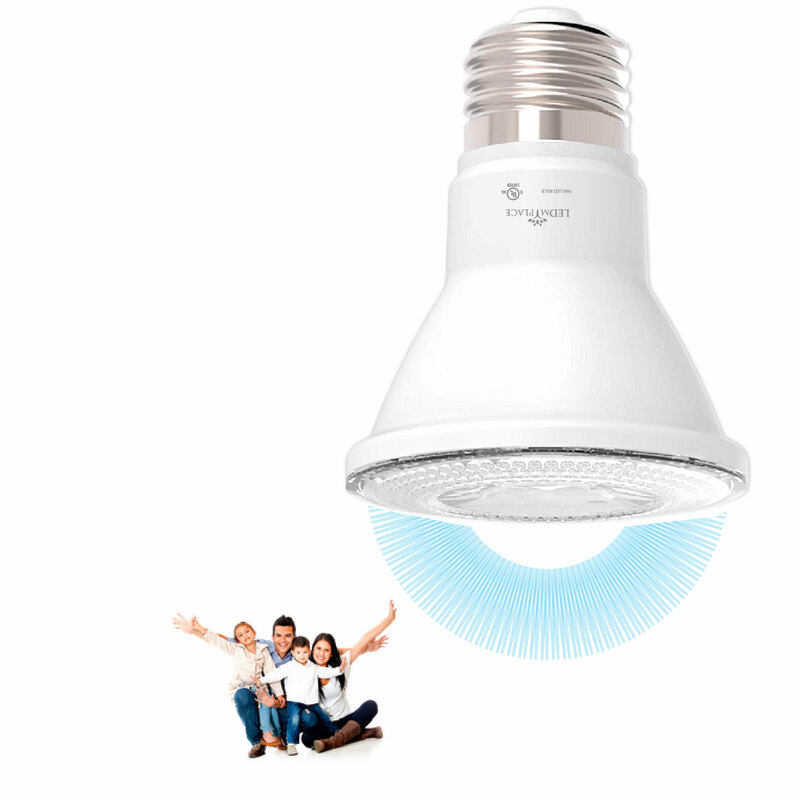 Energy-Savings: This PAR20 bulb of 8W can save up to 90% in energy-consumption by replacing a 30W incandescent or halogen light bulb. 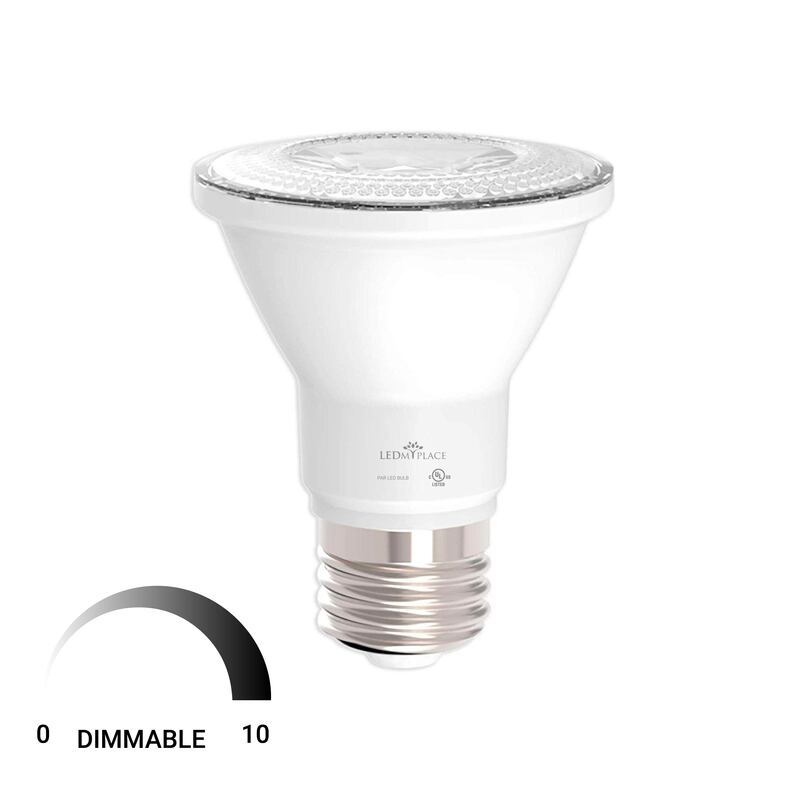 0-10V Dimmable: The LED PAR20 bulb can work with all standard dimmers available in the market when it can be dimmed down in the range of 0-10 volts. High CRI: A CRI of 90+ ensures -- objects look as real as possible in comparison to an ideal light source. Without CRI, objects under consideration may look completely washed out and artificial. 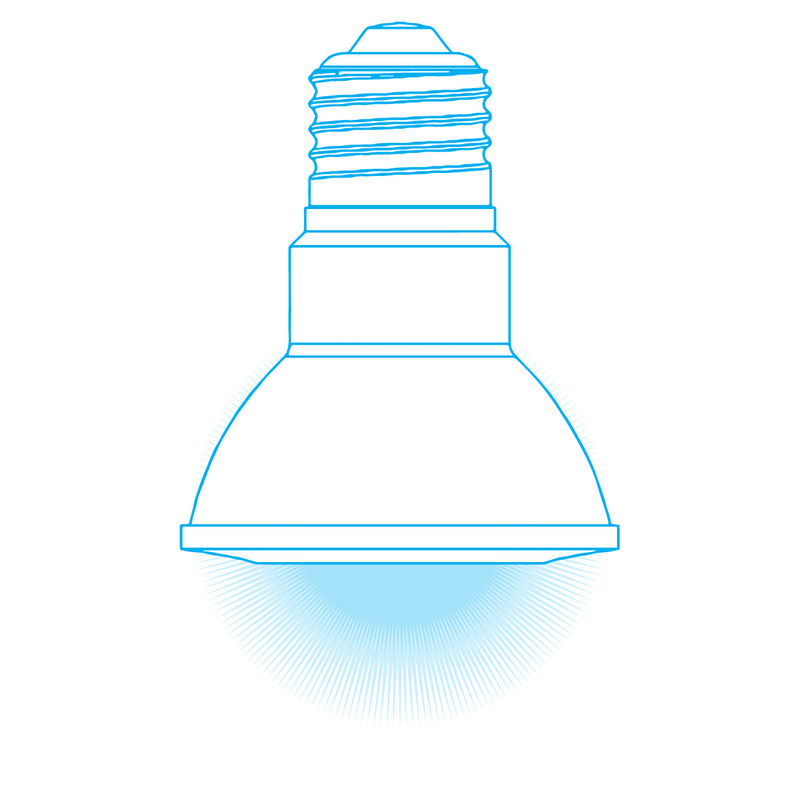 Hence, this bulb works well for any retail application. 5000K Color Temperature: This color temperature gives you an option of having neutral white-daywhite light glow and is a good color glow option for ensuring an equal amount of ambience and productive atmosphere. A 40 Degree Beam Angle: This wide beam angle can be used for having a general purpose lighting rather than any wall-washing kind of lighting. 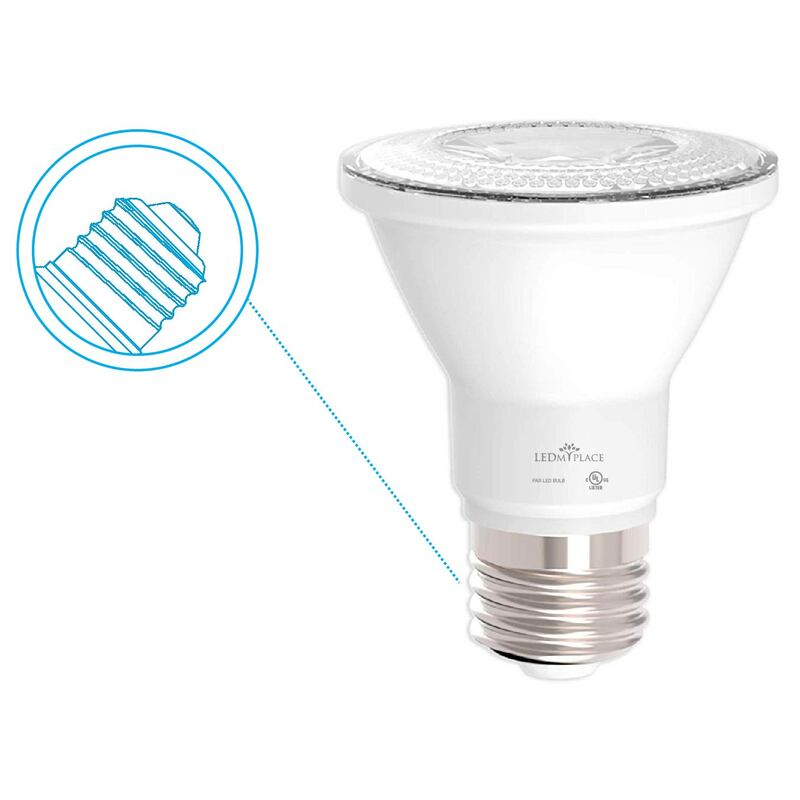 Less Heat Emission: While emitting a white and crisp light, this PAR16 bulb emits very less heat in contrast to conventional light bulbs, freeing you from the hassle of maintenance and operation. Thus, you observe a reduced maintenance and operational costs. Lifespan: These PAR20 bulbs do not last less than 15,000 hours providing you with a hassle-free maintenance and no replacement costs. 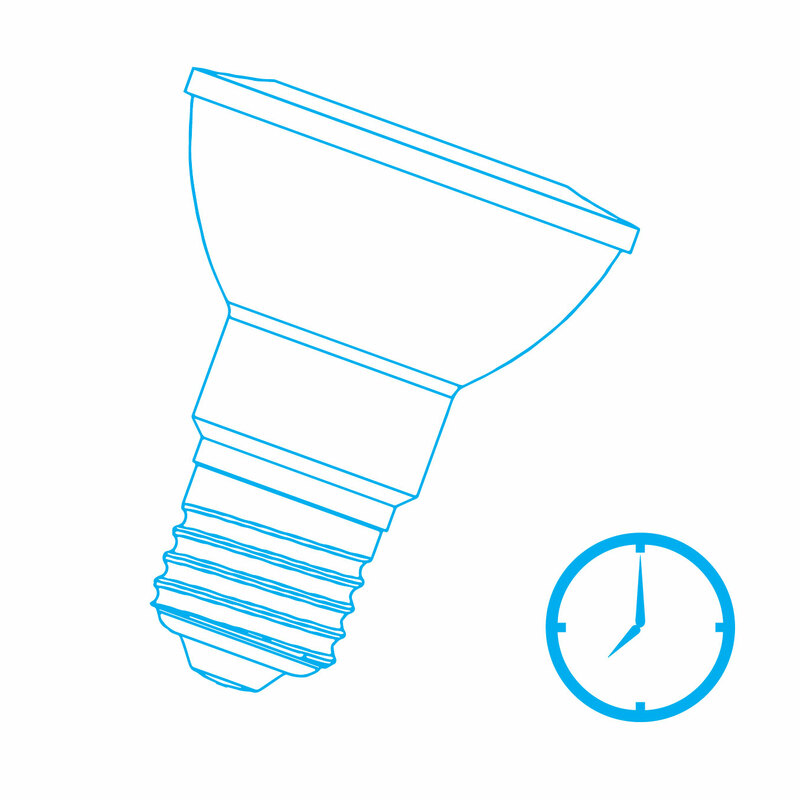 Our A19 dimmable LED light bulbs come with a medium or standard base size that fits into almost all standard light bulb sockets. Made of aluminium, these E26 bases are rust and corrosion resistant. 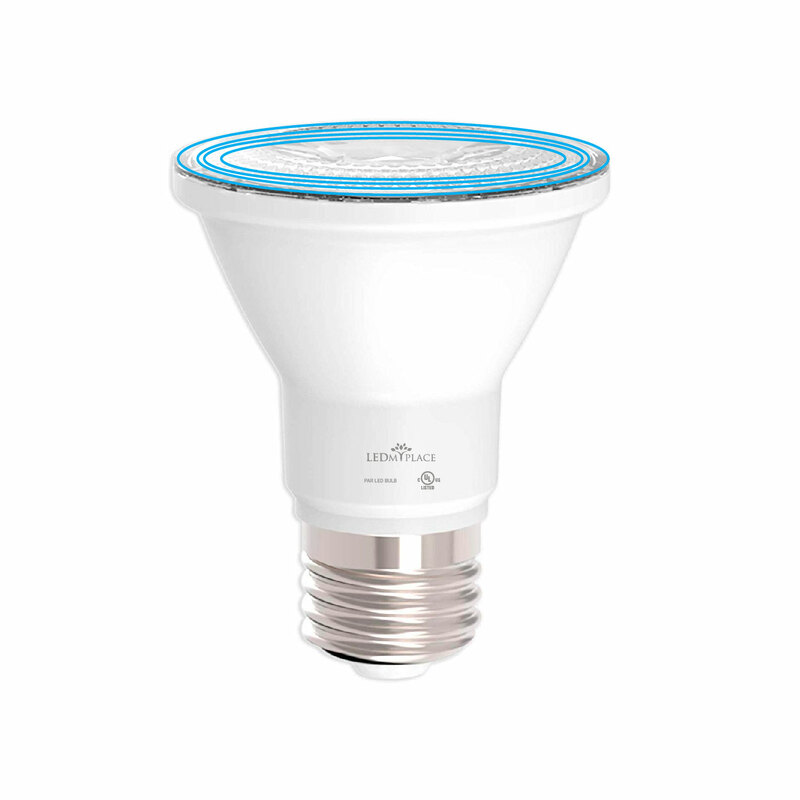 Our PAR 20 bulbs have a CRI of 90 indicating that these bulbs have an excellent color rendering ability when the light beam provided through these bulbs makes objects and surfaces reveal their true color to the extent of 90% in comparison to a natural light source.